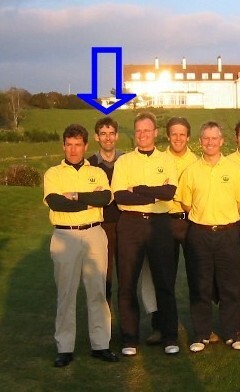 Another newcomer at Turnberry who embraced the event and gave his all both on and off the course. He broke a few rules when he failed to where his team shirt on Friday, but played sufficiently well to ensure that this mistake was not terminal. A solid performer who was inconsistently good. Just when you thought he was down he would bounce back with a great hole.